It is time when there are many the most powerful cars’ lovers. That is time of powerful and exotic vehicles. However, at the same time, there are many enough people, who prefer fast cars produce the 300-400 horsepower of the output as well. 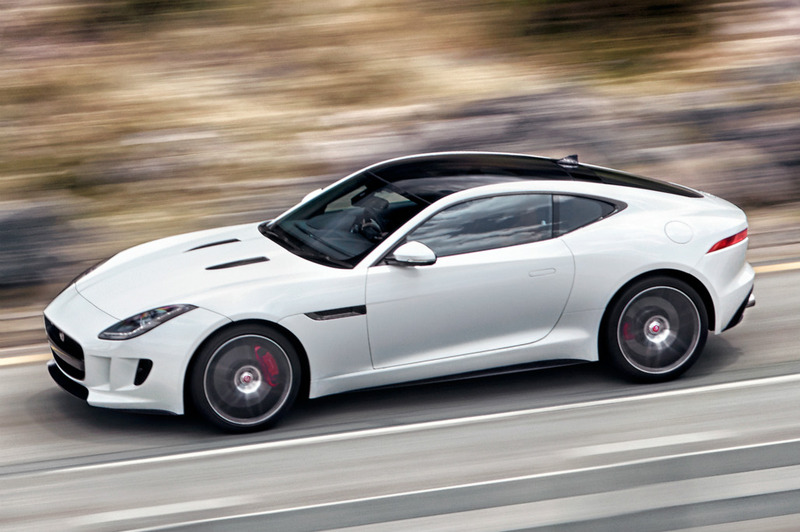 According to this situation, the Jaguar automaker presents the new Jaguar F-type R of the 2015 model year. This year the novelty will be available in a coupe version, but also soon, the auto manufacturer will offer a convertible variant, which will be introduced as a car of 2016 model year. The new Jaguar F-type R of 2015 model year is equipped with the V8 supercharged engine, which is expected to produce the output of 550 horsepower. The drive most likely is the rear-wheel-drive. The car is planned to be a beautiful, powerful, and fast accelerating and attractive as well. Meanwhile, the auto manufacturer has dropped the price. For instance, the novelty will be offered for the price starting from 100,000 dollars. A more equipped version with some optional features will be offered for about 120,000 dollars. If you plan to order any additional details, the price will be grown.